No spam comments will be shown in my blog. I have activated spam control on my comments so all spam will be deleted before they are published! The rolled up paper on the front of the card is a cut out from one of the design papers. 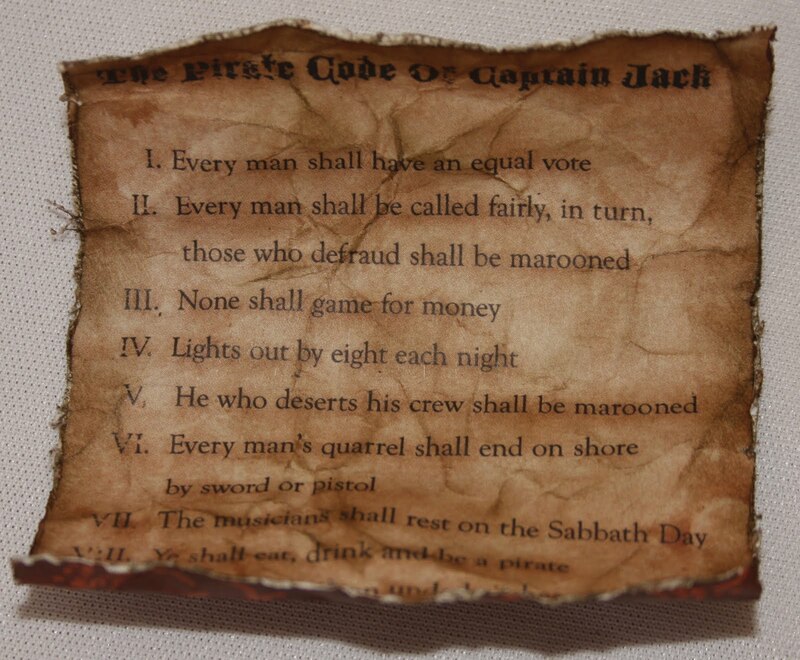 This is what you can read if you roll out the paper; Captain Jack's pirate code. The insides. On the left I have made room for my son to put a money note (for the photo I put a folded Post-It! paper). 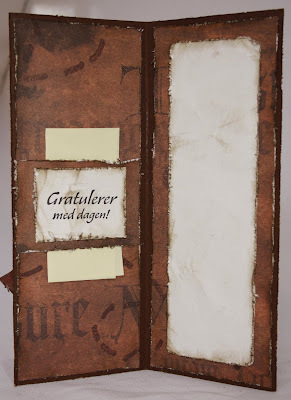 Simple back, with my personal stamp. Well, I hope you all will have a great Friday. Thanks for looking. 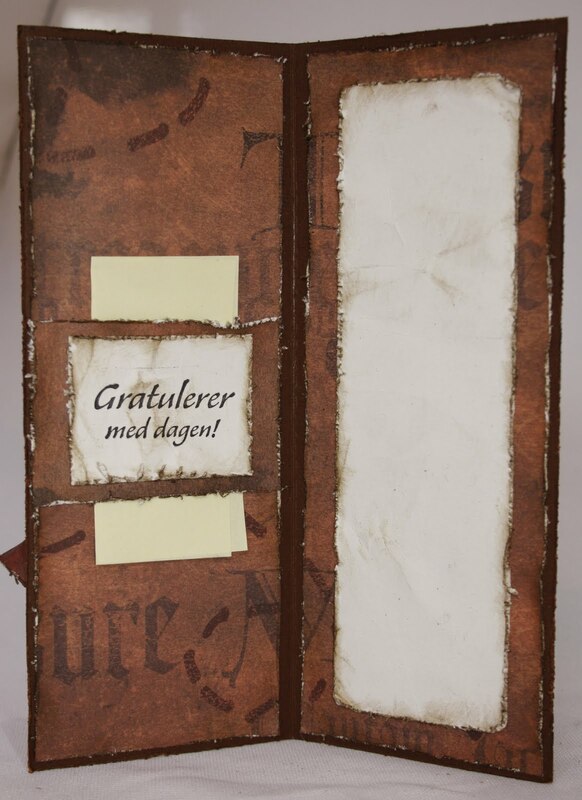 I am a 45 year old Norwegian woman who loves photography, familylife, my dogs, Project Life, documenting my life. More Whimsy Paper Door Inspiration!